Carol Danvers shows off her pilot skills in an old-fashioned Quin-jet. The new Captain Marvel trailer just dropped and we can't be more excited. The trailer shows Captain Marvel in action and also gives eagle-eyed fans a few questions to keep them up at night until the movie arrives. Screen Rant has observed a few things in the trailer but we may have an observation or two of our own. So here is a list of a few things that you may have missed from the latest Captain Marvel trailer. 1. The old lady being punched is actually a skrull. 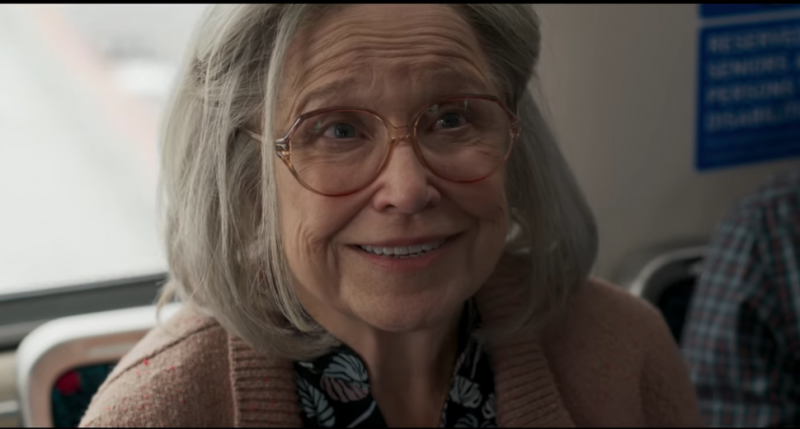 The scene where Captain Marvel punches a little old lady caused quite a controversy when it first aired but now an extended fight sequence reveals that the old lady was in fact, a skrull shapeshifter. 2. Annette Benning is a major Kree leader. When Annete Benning was cast in Captain Marvel, people speculated that she would be playing Carol Danvers' mother. But it seems that Benning could be playing a much more iconic role. Could she be playing Mar-vell? 3. Carol Danvers shows off her pilot skills in an old-fashioned Quin-jet. Fans will remember aerial vehicle as the same one that delivered Hulk to S'kaar in Thor: Ragnarok. Though this version seems like an old prototype, still lacking the tricked-out upgrades made by Tony Stark. 4. 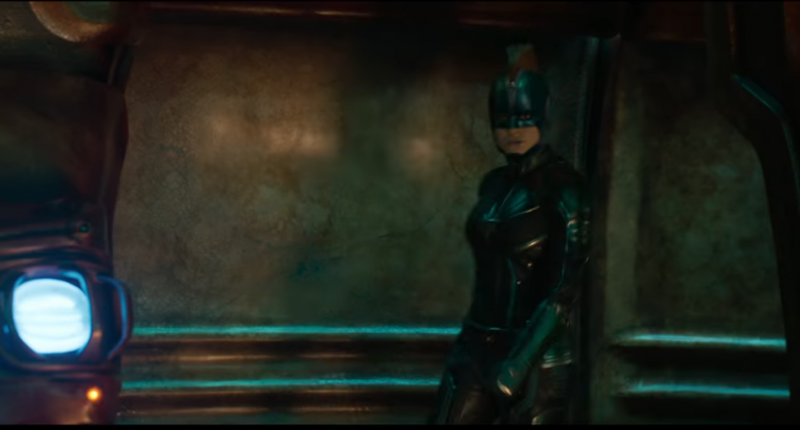 Captain Marvel's retractable helmet makes an appearance and seems to be an integral part of her costume which is a nice throwback to the character's origins. 5. The Kree and Skrull conflict will play a major role in Captain Marvels' origin story and perhaps tie into Avengers 4 too. Maybe this would explain why the snap didn't kill Captain Marvel. Captain Marvel takes on both the Kree and the Skrulls, shaping her destiny as a super-hero. 6. Jude Law may be playing Yon-Rogg, a villainous role and not the heroic Mar-vell we were led to believe. Jude Law's mannerisms in this trailer do lend to that theory. 7. Captain Marvel's arch nemesis makes an appearance. Talos is seen in the new trailer. But if he is indeed the big bad remains to be seen as Ronan the Accuser, and Yon-Rogg could also be contenders for that title. 8. Captain Marvel's binary form is revealed in a spectacular scene in the trailer. It showcases, however briefly, the true power of Captain Marvel. Thanos beware. 9. Goose the cat. Captain Marvel's fan-favourite pet is given the moniker Goose in the movie as a reference to Top Gun, but the cat may also be an ancient race of aliens that have a far greater secret they are hiding. 10. Nick Fury could also be an agent of Shield who is working outside the law. His interactions with Carol Danvers in the trailer don't seem official. Pair that with Brie Larson's definitive Marvel incognito uniform of a baseball cap and jacket and we think that Nick Fury and Carol Danvers may be on their own and on the run.